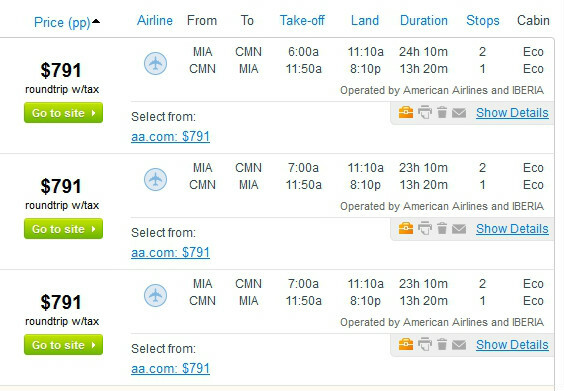 Flights to Casablanca, Morocco from Miami can now be had for $784-$791 roundtrip, including tax. This represents a savings of up to $200 off regular roundtrip pricing. This fare is a codeshare between American Airlines and Iberia, and includes a stop in Madrid. As a bonus, select dates have an extended layover option, which gives you a day to spend in Madrid, Spain. Travel is widely available January to March. NOTE: The calendars will display a higher rate of $880. Select that fare to continue to the $784-$791 fares. The fare is not part of an advertised airline sale and is likely to sell out quickly, so book ASAP! Looking to book a different trip? 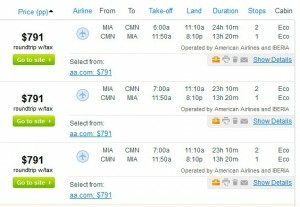 Click here for cheap flights from Miami.